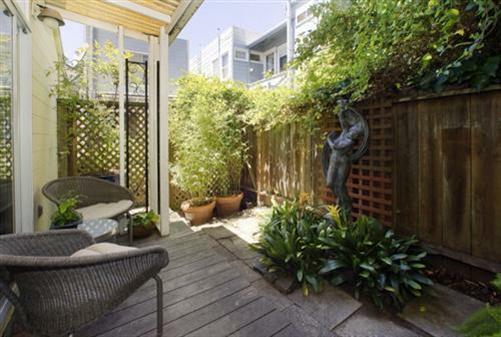 These Telegraph Hill units are beckoning at 130-32 Varennes; I saw them a few weeks ago and thought it would sail right off the market when it was listed for $1,399,000. I really fell in love with both the location and the opportunities that this building offers. A cozy two bedroom home at the rear of the lot with some private outdoor space and the studio unit in a separate building at the front. A tasteful courtyard separates the two structures. The location makes the studio a terrific short term rental opportunity and the two bedroom home conveniently located to desirable services and restaurants. There may be a buyers’ opportunity here! Still available as of 10/11/10 at the same list price. Given the time on the market, it really needs to be reduced. Just had a $200,000 price reduction! That’s a great deal. Property has been withdrawn from the market. 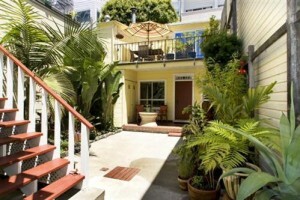 The property came back on the market at the beginning of March for a list price of $1,095,000. In contract within 6 days. That’s a great price! The property closed with multiple offers at $1,100,000.